Nearly one quarter of ambulance trusts across the UK do not have a system in place to record and implement patients' advance care plans, a charity has warned. Compassion in Dying, which helps people prepare for the end of life, said the lack of a system could result in paramedics not being aware of advance care plans, and therefore failing to fulfil a patient's stated preferences for medical treatment and care. The charity said it was prompted to conduct the research after receiving frequent enquiries from people concerned about whether their advance care plans would be respected in an emergency situation or when being transported between care settings. Such plans can include an advance decision, sometimes known as an advance decision to refuse treatment (ADRT), a living will, a do not attempt cardiopulmonary resuscitation (DNAR) form, and/or a lasting power of attorney for health and welfare. The charity said findings from a freedom of information (FoI) request show trusts vary significantly in their policies and practices regarding documentation of advance care planning. While 23% of ambulance trusts (three of 13) have no systems at all for holding advance care plans for patients in their areas, the remaining trusts varied over whether they simply record the existence of plans, keep physical or electronic copies of them, or have access to systems used by GPs that include the information. A varying approach regarding who trusts will accept advance care plans from, and in what form. Nearly half (six of 13) accept them from individuals, whereas just under one third (four of 13) will only accept plans from healthcare professionals. Meanwhile most (85% or 11 of 13) were unable to report on the number of advance care plans adhered to in 2017. A lack of a unified system for recording and implementing advance care plans, and a widespread absence of systems for monitoring and analysing adherence to advance care plans was apparent, the charity added. The charity said confusion over policy can cause distress to patients and their loved ones, and to the paramedics treating them. Compassion in Dying said it is appealing to trusts and paramedics to implement its recommendations to ensure that the end of life wishes of people in their area are known and followed. 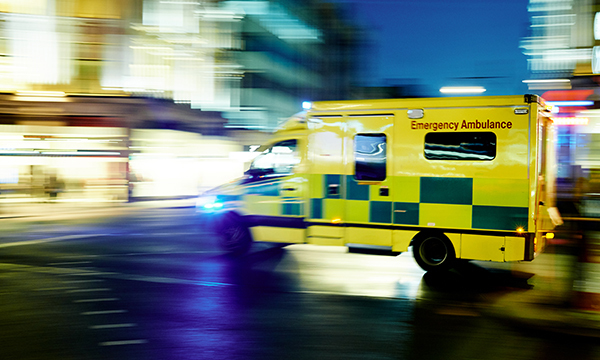 The charity's director of legal strategy and policy Davina Hehir, said: 'We recognise that ambulance crews work in time-pressured and stressful environments. Kevin Brandstatter, national officer for the paramedics' union the GMB said: 'Paramedics' primary role is to save lives. 'Obviously it is in every ambulance trust's interests to have policies in place to ensure that the wishes of patients are respected. It’s a sensitive issue, but GMB is always prepared to discuss policies with ambulance employers.